Given India’s importance in the smartphone market, we spoke to Xiaomi’s India head Manu Jain about the company’s plans for 2016 in the country. In mid-January Xiaomi, one of the world’s most valued start-ups, announced that it had shipped over 70 million smartphones for all of 2015, falling shy of its own target of 80-100 million shipments. But even with this, Xiaomi remains within the top 5 smartphone vendors of the world. No small feat for a company that was founded only in 2010. A recent IDC report put Xiaomi at number five, but noting that Xiaomi’s shipments had remained restricted to China, and that a bulk of the volume was being driven by its budget Redmi series. Often called the Apple of China, Xiaomi’s global ambitions saw it launch operations in India in the second half of 2014. But for most of 2015, other than the Xiaomi Mi 4i and the Mi Band, India –which is now the world’s third largest smartphone market — got no new phones from the company — the Redmi Note Prime and Redmi 2 Prime were upgraded, Made in India versions of earlier phones. A Counterpoint report also claimed that Xiaomi’s sales in India had plummeted in Q3, a charge the company countered saying it shipped over 1 million devices in India for the quarter. Given India’s importance in the smartphone market, we spoke to Xiaomi’s India head Manu Jain about the company’s plans for 2016 in the country. Below is an edited excerpt of the interaction. 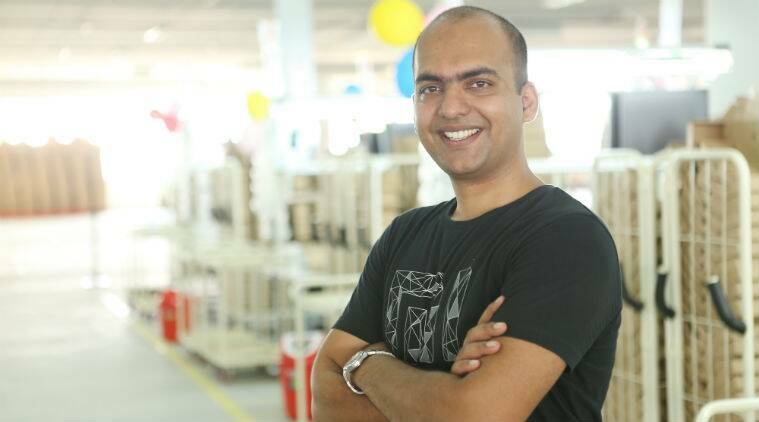 How was 2015 for Xiaomi in India? 2015 has been an incredible year for us. This was the first full year of operations for us in India. As you know we launched here in the middle of 2014, so this year we were really focussed on getting strong output. We saw huge growth in terms of numbers, in Q3 we shipped a million phones in India. In Q4, we shipped more than a million smartphones, I would say somewhere between 1 and 1.5 million devices in India. We also went for multi-level partnerships. When we started we were available only on Flipkart, but we’ve now expanded to Amazon, Snapdeal, even offline partners. This helped drive our sales as well. Redmi Note Prime was the number one selling device on Amazon during their October sales. On Flipkart, during the Diwali sales, all four top selling smartphones were from Xiaomi. We also had a great Diwali sale on our own portal and our app Mi.com app saw over 3 million installs. This was purely organic driven as we have not any marketing for the app. In fact Mi.com crossed 1 million users per day during the sale season, which is great if you consider that most of the top e-commerce portals in India get around an average of 6-8 million users per day. We also started manufacturing in India, with phones like Redmi 2 Prime, Redmi 2 and Redmi Note Prime. On the service side, we ramped up the number of exclusive service centres, and we now have 70 plus of these in India. The quality of service is much better than what you’d get in multi-third party centres. Our team has also doubled from the early numbers of 30 to around 75 people now. Given our size as a team in India, it’s amazing what we’ve achieved so far. What about production in India? You launched Made in India with much fanfare but so far only two phones have come from that. We are 100 per cent committed to Make in India. In fact, we had announced production in India, even before the whole Make in India buzz had started and we’ve been true to our word. The reason we’ve taken Make in India so seriously is that it definitely reduces time for the delivery of the products for us and there’s a cost benefit as well for us. Make in India is part of our top four big priorities for India for this year. We want to reduce the time it takes for new products to reach our consumers and make in India is definitely going to help us achieve this. How come we’ve seen no new product launches other than upgrades to earlier phones? And what should India expect from Xiaomi on the smartphone front? Will the latest devices come here as well? Look, we have four big priorities for India this year. One is definitely to bring more, and more devices to India, and to reduce the time between the global launch and India launch. If you noticed, within days of the Redmi Note 3 launch we confirmed that the smartphone will be coming to India. There’s also an Explorer contest for our fans in India to give them a chance to try out the Redmi Note 3. On the lack of new phones, our philosophy is different from other players. We don’t have a huge portfolio at one time, at best we announce 4 or 5 new devices in the year. Our second priority like I’ve said is Make in India. The third is to make new partnerships in India, both in offline and online to boost our distribution and networks. The fourth is to scale up our own e-commerce offerings in India, both on the front end and back-end. As you know, in China we’re not just a smartphone company, but also big on the e-commerce front and this is an area we want to improve in India as well. Recently we’ve seen Xiaomi launch some new service plans for India? What has been the response to that? So the Mi Protect plan is basically an insurance plan that will protect your smartphone against damages, which are not covered in the regular service, like say water damage, etc. Currently, it is available only on Mi.com, but of course, we plan to take it beyond that for our Xiaomi fans, and are working towards it. We also plan to make it available at our exclusive service centres, so that you can walk in and get the plan. It’s too soon for any numbers, but so far the response has been positive. What happened to your plans to bring in other devices to India? How come no Mi Note, etc. What about the TV? We bought the Mi Band to India last year, and yes it was immensely popular. Some even said that it was the number one fitness tracker in India. However for 2016, the primary focus in India will be around phones. We have talked about bringing other devices to India, but there’s a good chance that the TV may not launch in India this year. There’s a reason for this. The TV, the fitness tracker, etc are all devices that can be connected to the Mi phone and are dependent on it for the data, etc. So first we want to build up our smartphone business and ecosystem in India, and then move on to the new devices. Will you be able to reduce delay between global launch and India rollout in 2016? Also why has there been such a delay in launch of the new flagship, if you can comment on that. With the new products coming up for Xiaomi, a lot of hard work has gone in, both from the China teams and the India teams. We are working very hard to ensure that the time gap between the two launches is reduced. Of course, some gap is to be expected between given that to launch a new device in India we need to get a bunch of certifications, licenses. Some lag will be there, but we plan to get consistent about it as well. It’s not like one device should come to India within six weeks of global launch, and the second one after 12 weeks. We plan to ramp up production to increase our shipments and reduce this difference. What about the service end? How is Xiaomi working to improve on that? After sales remains one of the neglected areas in India, and for years I’ve heard even well-established brands boast about how many service centres they have, but if you go to them you’ll find out that these are third-party service centres, where they are servicing five or more brands. So the quality of the service is not that great. So we said let’s not focus on just numbers, but also quality. And this is one of our key objectives for India this year, to have quality service centres. We’re cautiously doing something very different with servicing. We’ve bought in an e-commerce learning into service as well and the Pick up from home is an example of this. With e-commerce the convenience is that the product is delivered to your home, and we’re doing the same with when your phone needs to go in repair. Currently, it’s restricted to Delhi, Mumbai, but we want to expand it. We also want to ensure that the lag time is low and that your product doesn’t stay forever at the service centre. Where are all Xiaomi smartphones getting shipped in India? In the last few months, we’ve been shipping to more than 1500 cities in India, which is a very big number, considering that we’ve only been in India for a year and a half. Of course in the early part of 2014, when we just launched, a majority of the sales were from the big cities, from people who are tech savvy, who’ve heard about Xiaomi, people in their first job, people who’ve had access to the Internet, etc. Last one year though we’ve seen a spurt even in the smaller towns, people who have friends in bigger cities, who’ve used a Xiaomi smartphone. A lot of these customers had a friend who used the Xiaomi device, and recommended it to them. Of course our online presence helped us scale up in India. I mean if we even tried to be present in 1500 cities via offline, it would have taken us forever to reach this number. But we’ve managed to get a presence even in smaller cities and towns and we are seeing sales from Tier II and Tier III cities as well. Would you say that other Chinese companies stolen your thunder a bit in India? That perhaps the company has been a bit too silent in India for sometime. Any thoughts on that. I get asked about the competition a lot and it really depends on how you define competition. Xiaomi isn’t just about smartphones, we’re really about the whole package, from the OS to the technology, our hardware comes with its own ecosystem and we’re also an e-commerce platform. Sure in the smartphone side of things, there have been a lot of new entrants in India, but we already understand some of these players since they’ve been present in China. We were able to scale up much faster than some of these companies, which have existed in China, and beyond much before Xiaomi also. Plus with our smartphones, we’re offering them something really unique with our MIUI, which really differentiates our devices. Unlike the other companies where a big part of the team is marketing and sales, a major chunk of our team is around research and development. Has litigation with Ericsson slowed down your plans in India? The case is still going on in court and the last hearing was in January. I would not like to comment on the matter.